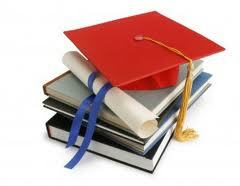 Education in Delhi, Delhi Higher Secondary Education, Delhi Education. Delhi is the second largest metropolitan city in India and educational hub which offer training in various fields. Many renowned institutions are located in Delhi. When compared to other states literacy rate in this state is high. Delhi is the favorable destination for higher studies by many aspirants not only from the state but also from other states and neighboring countries like Sri Lanka, Bangladesh, Nepal and Pakistan. Colleges in Delhi purely concentrate on overall development of the aspirant by providing quality education. School Education in Delhi is provided both by government as well as private schools in Delhi. Some of the Famous schools in Delhi are St. Mary's School, St. George's School, The Mother's International School, Sadhu Vaswani International School, St. Xavier's School, Sardar Patel Vidyalaya, Raisina Bengali Senior Secondary School, N C Jindal Public School and Adarsh Shiksha Niketan School. Schools in Delhi are either affiliated to Indian Certificate of Secondary Education (ICSE) or the Central Board for Secondary Education (CBSE). Delhi is most popular destination to pursue higher studies by national and international students. Colleges in Delhi offer wide range of courses under Humanities, Science and Commerce streams. Most of the colleges in Delhi are affiliated to Delhi University (DU). Even many colleges in Delhi also offer professional degree courses in subjects like management, journalism, law and media studies. Some of the well known institutions of Delhi recognized world wide include Netaji Subhas Institute of Technology, Lady Shri Ram College for Women, IIT Delhi, Delhi School of Economics, St Stephen's College, Indian Institute of Mass Communication, All India Institute of Medical Sciences (AIIMS), and Delhi College of Engineering. Universities in Delhi offer courses in science, arts, commerce, ayurvedic, law, medical sciences, music and fine arts, social sciences, technology, language, environmental science, natural science, architecture and many more courses which lead to undergraduate and post graduate degrees. Some of the Top government recognized universities in Delhi are University of Delhi, Guru Gobind Singh Indraprastha University, Jamia Hamdard, Jawaharlal Nehru University and Jamia Millia University. In addition to above government recognized university there are also two private and ten deemed universities offering professional and technical education to the students. Indira Gandhi National Open University is the largest Open University in the globe which is also situated in Delhi. Some of the universities in Delhi offer regular mode of education while other universities offer distance program in both under graduate and post graduate level. English or Hindi is the medium of instruction in most of the schools, colleges, universities and professional institutes of Delhi.